We have a new, exciting feature in Safe Gatherings related to the way invoices are handled! As of June 2018, Safe Gatherings is sending the designated recipient(s) an email with a link to their invoice. You can click on the link to view and/or print the invoice, and you can also pay by credit card at that time. You can still mail us a check if you prefer. 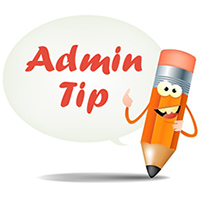 Starting with June 2018, administrators will be able to view invoice history by logging into their admin account and clicking on the Invoice Report link.